Here is an excellent new book packed with state-of-the-art information on thanatology. It presents valuable insights on the history, current issues, and future directions for the modern death movement. This comprehensive volume is unique in that it offers multiple perspectives on the issues and problems facing the thanatology movement in the United States from well-known experts in a variety of fields, including nursing, psychology, death education, medicine, ethics, and suicide prevention. By crossing disciplinary boundaries, these authoritative contributors are able to critically examine the entire thanatological community and provide glimpses of an agenda for the 1990s. suicide prevention Individual chapters address such pertinent topics as educational needs in thanatology, the undervaluation of caregiving, policy legislation for issues facing the terminally ill or bereaved, and the care of children facing death. 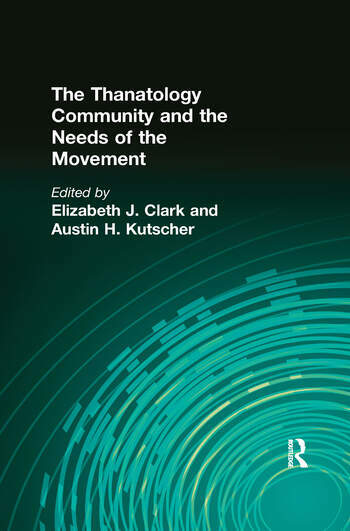 This groundbreaking book gives death educators, academic nurses, clergy, divinity school faculty, and academic and clinical psychologists the keys to advancing scholarship and practice in the field of thanatology. Its interdisciplinary focus facilitates better cooperation between academics and practitioners to ultimately enhance all services for the dying and bereaved. What Should a Thanatology Organization Do?